TOOLS. If you forced me to distill my recent ministry trip to Nicaragua into a single word, that would be the one I'd choose — tools. Let me explain. One of my new Christian friends pointed me to Sacred Treasure House, a small Christian bookstore in the town where I lived. 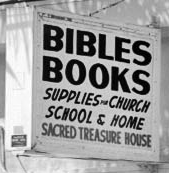 where I purchased all of my early Bible-study tools. Fast-forward to 2014, my first teaching visit to Nicaragua. I could see that the pastors of the Quilalí area were in the same situation in which I had found the Guatemalan pastors in 2008 – most of them were “mining” without these Bible-study tools. On a rural pastor's meager income, spending the equivalent of one or two months' salary on Bible-study books is out of the question. I've been praying since 2014 about that situation, trying to make contacts, and track down leads and prices. In May, I went down to Nicaragua a few days early (that is, before the teaching started) and made contact with the Nicaraguan Bible Society in Managua. They've agreed to sell us these three tools at a 20% discount. With $200 which had been donated already, I purchased six books (3 illustrated Bible dictionaries and 3 one-volume commentaries, the exhaustive concordances being out of stock) and took them with me, as a kind of “firstfruits” or “earnest,” for delivery in Quilalí. We arrived in Quilalí, Nicaragua the afternoon before the three-day pastor/leader training sessions started. To make a long story short, I met with three area leaders who are preachers, supervisors, teachers of other pastors – one of them even a teacher in the local Christian school – and not one of them had these basic tools! 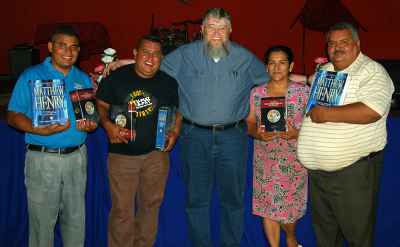 So on your behalf I presented to each of these three their own new illustrated Bible dictionary and commentary. Beloved, we can make that “some day” come soon for others! I left Quilalí last month with “the name, rank, and serial number” (the latter almost literally!) of every one of the 27 pastors in attendance. Would you like to be one of these ministers, responsible, say, for pastoring three churches, winning souls, and discipling members — all without these basic “mining tools” for studying God's Word? No? Me neither! Well, would you DO something about it if you could? Because now you can! Drawing on my personal history of Bible study, I'm introducing The Sacred Treasure House Initiative: Quilalí. These necessary “tools,” which I could afford to buy at my beloved Bible bookstore even in my teen years, are way beyond the financial reach of these rural leaders. 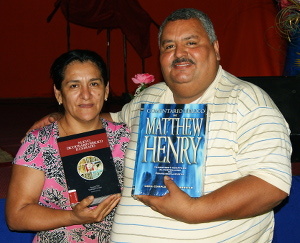 For US $105 you can supply one pastor with a complete set of these basic Bible-study tools – hardback Spanish-language versions of Strong's Exhaustive Concordance, an illustrated Bible dictionary, and a one-volume Matthew Henry's Commentary. [L] Pastors Norlan & Nelson, [R] Pastores Rut & Feliciano. Imagine equipping dozens of other pastors as well! May I explore the Mine! Help these “miners” explore the “Mine.” Please pray and give, and share the need for their tools. Many of you can give $105. 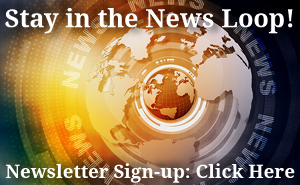 Others can enlist your cell group or Sunday school class or women's Bible study or men's ministry. The fundraising deadline is December 31st, so we have to start now. That will allow time during the first three months of 2018 to order, pay for, and pre-position the books for delivery. 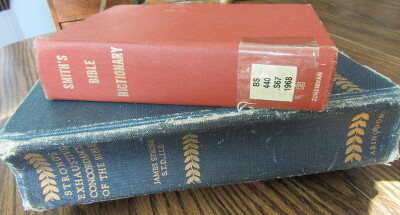 Lord willing, with your help, my job on my next visit will be to deliver the books and teach the pastors how to use them! Credits: Shots of Quilalí pastors courtesy of team member Frederico Juarbe. Book shot by Denise Kerwin. 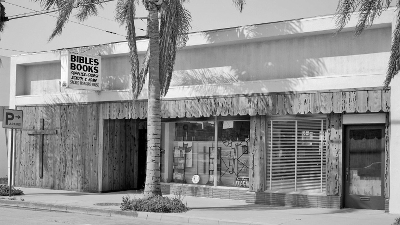 Photo of Sacred Treasure House used by permission of the Costa Mesa Historical Society. Special Thanks to Christopher Edwards, Costa Mesa Library reference librarian and Mary Ellen Goddard, archivist for the Costa Mesa Historical Society, for their help in locating the photo of Sacred Treasure House! Friday, 7 July update: I’m encouraged. This morning I received a PayPal confirmation that a Canadian brother has sponsored one pastors’ book set. Another e-mail from Virginia let me know that a check is in the mail for two sets of books. And I have pledges from a church in Florida for two more sets and from a small Virginia church for three sets! Praise God! 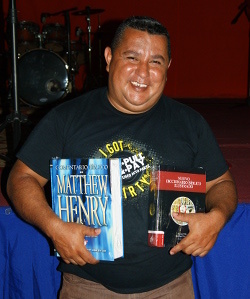 Monday, 31 July Update: By the time I left for Honduras last Thursday morning (27 July 2017), we had received sufficient gifts to cover the purchase of 10 complete book sets. I’m excited to check the mail when I return next week! Monday, 16 October update: We’re making solid, steady progress on this, so much so, in fact, that the story deserves its own report — https://finestofthewheat.org/22-15-Peru.